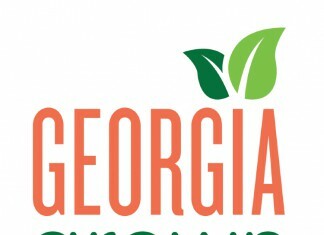 One Georgia company is taking to the skies to change the face of agriculture. Thrush Aircraft, headquartered in Albany, is an industry leader in providing aircraft for agricultural spray operations to farmers and producers. According to Eric Rojek, vice president of sales and marketing at Thrush Aircraft, the modern day ag aircraft are turbine powered, GPS-guided and a “highly productive member of a farmer’s arsenal.” The agribusiness is one of only two manufactures of turbine- powered agricultural aircraft in the world, with the other located in Texas, Rojek says. At the company’s factory, 245 skilled employees work hard to create and market Georgia-made aircraft from raw materials, carrying out steps from welding to assembly of its unique line of aircraft. The planes help operations of every size control insects, weeds and diseases that threaten crops and orchards, as well as effectively fertilize crops. “In addition, Thrush Aircraft are depended upon for fire control, dispersing fire-retardant chemicals and water to save human and animal life, and preventing the loss of property and forestry,” Rojek says. Agricultural events are a chance to show the public the importance of the state’s agriculture industry.